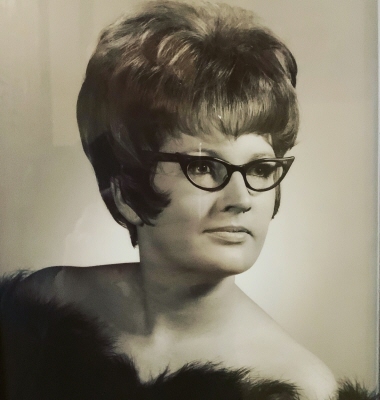 Janet was born on February 4, 1943 in San Pedro, California and went home to be with her Lord and Savior on April 10, 2019 in Glenpool, Oklahoma.Janet was born to Brady Lee Lyles and Juanita Hartzell Lyles. Janet had worked at Boeing Aircraft Company in Wichita, Kansas and it was while working at Warwick Electronics in Forrest City, Arkansas that she met her husband, Virgil. Virgil was working with Janet’s brother, Bob, for Mutual of Omaha life insurance. Bob brought Janet to Forrest City, Arkansas the weekend of July 4th and that is when she met Virgil. They were married on August 28, 1970. They would have been married for 49 years this August. She made the most important decision of her life in 1975 when she was born again and confessed Jesus Christ as her Lord and Savior. This experience occurred at Hope & Trust Baptist Church in Forrest City, Arkansas. When she moved to Tulsa, Oklahoma, she became a member of River Side Baptist Church where she served as a Sunday school teacher, children’s church worker, and nursery worker. Her most enjoyed ministry was the care of the nursery babies whom she lovingly called, “her babies”. Virgil had shared with Janet that he believed the Lord was “calling him to preach”. That was the momentwhen “rolling of the eyeballs” was invented! Janet was supportive of Virgil through his years of Bible School. She was a great homemaker and great mother to theirfour children. When Virgil took the pastorate at Anderson Acres Baptist Church, Janet again taught Sunday school, children’s church and headed up most of the Vacation Bible Schools. She was faithful in the children’s ministry from 1985-2003.When she came to World Outreach Church in 2004, she again was involved in the nursery ministry where she faithfully served until 2012. At that time, she was no longer able to take care of her beloved babies. Janet was a multi-talented woman. While in Tulsa, she started her own cleaning business of 30 years and she also got her real estate license. She loved to do all kinds of crafts and was quite talented in ceramics. In some circles, she was known as the “Garage Sale Queen”. She loved to go to antique shops and sales with her garage sale buddies. She even owned antique booths in Jenks and Bixby. Don’t let her “innocent smile” fool you, Janet was a vicious UNO card player! She was always competitive from her early years on. She was a skater and speed skater and was exceptionally good at these. Her son, Bret, remembers when he was a boy that she skated beside him, backwards and on one foot. Janet was also a very good bowler.Janet was preceded in death by her parents, Brady and Juanita, and brother, Bob.Janet is survived by her husband, Virgil; and four children Troy Lyles of Wichita, Kansas; Sandy Cannady of Wichita, Kansas; Bret Roberts & wife, Trina of Tulsa, Oklahoma; and Cindy Hubbard & husband, Brandon of Tahlequah, Oklahoma. She is also survived by 5 grandchildren and 1 great grandchild.She had a great love for her family and friends.Janet will be known for her love, dedication, and faithfulness. She will be missed by all those who knew her. To send flowers or a remembrance gift to the family of Janet Faye Roberts, please visit our Tribute Store. "Email Address" would like to share the life celebration of Janet Faye Roberts. Click on the "link" to go to share a favorite memory or leave a condolence message for the family.